Isn't it amazing!?!? Definitely more tuned to the conditions you describe than the Speed. Between the two I think you have a great quiver. In addition to my 8'10 Surrator, I have a 9'0 Laird Surfer and 7'4 Hypernut. If anyone in the US is looking for a Surrator, Laird Standup has a sale going on, on their website. Rumor is that Nidecker is dropping distribution of Laird. Would be a shame if noone picks up distribution as they are amazing boards. Hi any more feedback on the surrator at all? 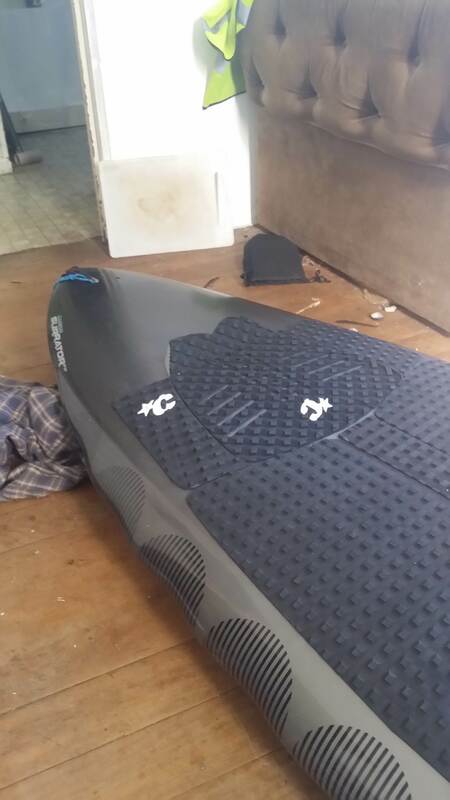 A carbon 8'10 has come up locally and thinking of adding it to the quiver for hollower and bigger days when need a bit more float and rail line. Looks like you may have to put the Sunova into the bargain bin - trying to sell my Jimmy Lewis Quad and maybe this beatiful board will go to the bargain bin as well! Haha I think I've seen that board on trademe for ages. What a steal! Great buy--still loving my 8'10! 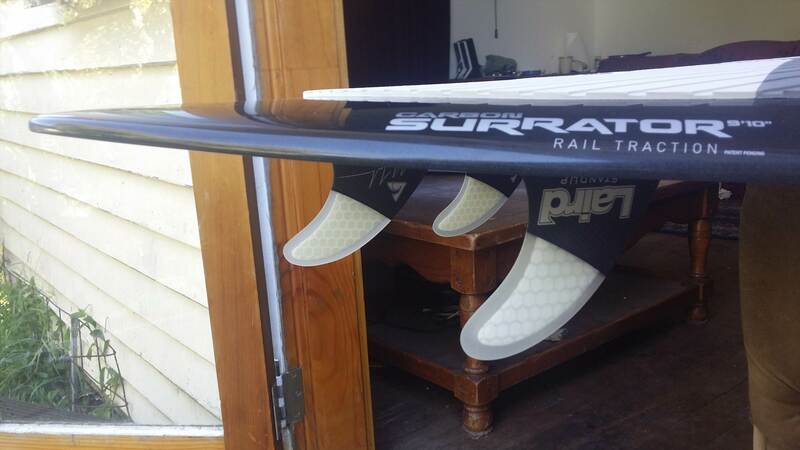 If your Hokua is an x32 very different board... will be interesting to hear your ride report. 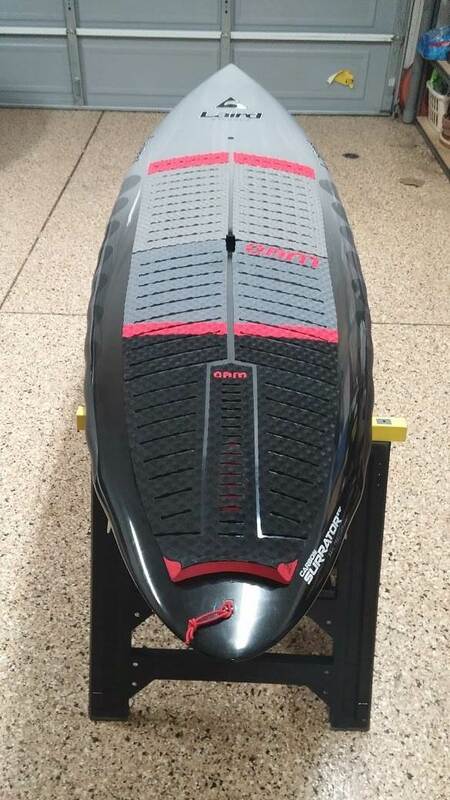 Yes it's an x 32 and I love it seems so easy to surf and very loose as long as you keep working the board from the tail it's fast but not a board for just standing and trimming on. Thinking that the laird will be good in bigger meaner waves perhaps but just seemed too cheap to not buy it and I like to not always ride the same thing. Sounds positive reviews so far 805 how is yours compared to your hokua and which do you prefer. I m 60 and 85kg and the hokua feels like magic to me. I don't own a Hokua but have a couple of friends that do and toyed with the idea of picking one up when the LEs were overproduced but didn't want something that wide and with so much volume as I like to float closer to the surface of the water. I too am 85 kg as well and my quiver is comprised of a Laird Surfer 9'0x29.5x113L, a Hypernut 7'4x30x105L and the Surrator 8'10x29x118L. The Surrator is the most reactive board that I have ever surfed. 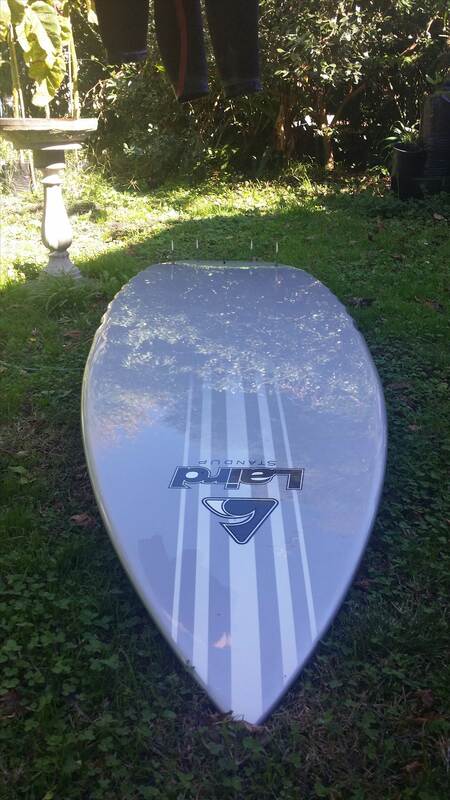 It surfs smaller than its size and can handle waves from waist high to double overhead really well. The narrower width should outperform the Hokua in my opinion but I would love to hear your first hand experience. 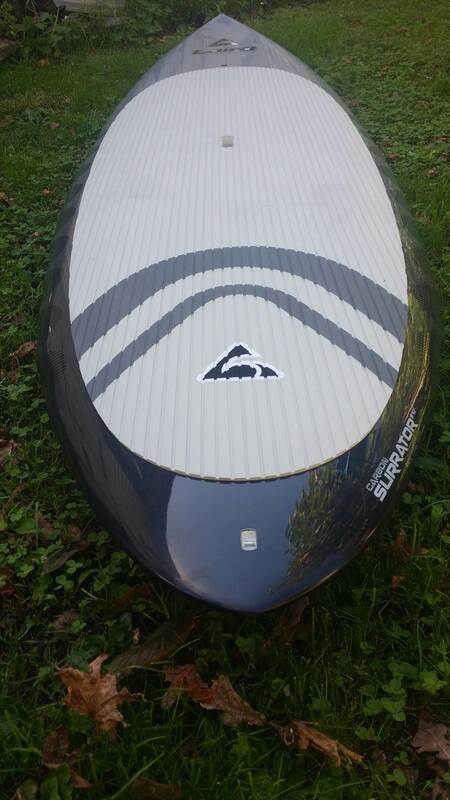 The downside is that it is not an ego-stroking board--its pulled in nose and tail coupled with its aggressive rocker makes it less stable for its size (and its users can't say: "I surf a 7' board"). It took me a little while to get used to the stability of the 8'10 but once I did, I have been rewarded--perhaps you will dial it in quicker. I have the 2015/2016 and Laird improved the deckpad dramatically in 2017 with the diamond deck pad. I changed my deckpad to an OAM that I love. Interesting--haven't seen a 30" 8'10 on this side of the pond. 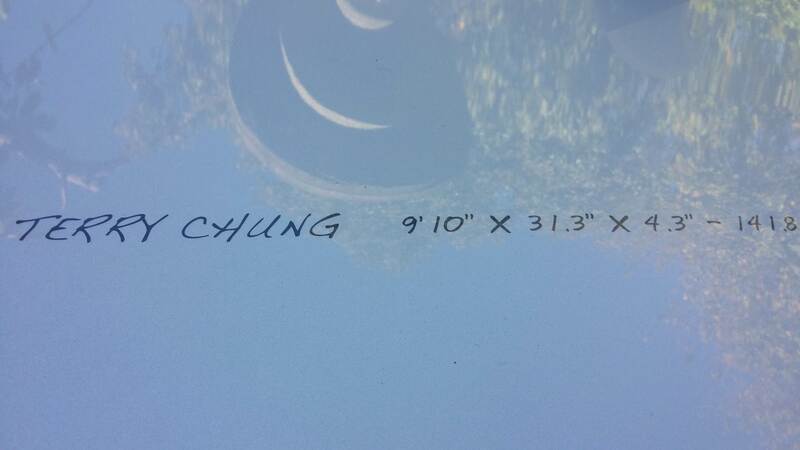 Perhaps it is a custom Terry Chung or different sizes were shipped down under? The 9'4 is 30.3" wide I believe. Still deeply in love with this board. Have got the "fat guy" version. Isn't it crazy how that happens!?!? I have made drops on my Surrator that I am sure that I would have wiped out on other boards! I have had non-carbon Lairds in the past and they are just a little heavier and possibly a bit more stable in chop. If it is the wrong width listed, it is definitely worth working to get it dialed imho and will reward you with the performance you are looking for in bigger waves. Just had mine out in this head high long-period swell that just hit and it reminded me how much I love surfing the board. Will look forward to hearing how your first surf goes. It will be my first surf since March after recovering from an accident so I will probably start with my bigger boards but will be keen to see how stable it is in the next few months. Looks good although I like to get my back foot right back close to the leash plug, I took my 810 for a little paddle in the river yesterday and it feels okay, not as stable as my x32 but easy enough while paddling.will wait for a good day to surf it.